I use a mod called Classic Shell which I only installed the start menu and it has been themed to a replica like look of Window 7's and when I try to theme it overrides my classic shell taskbar! how I can tell windowblinds 10 to not to do that if I use a theme like Aero Ultimate I downloaded from DA? 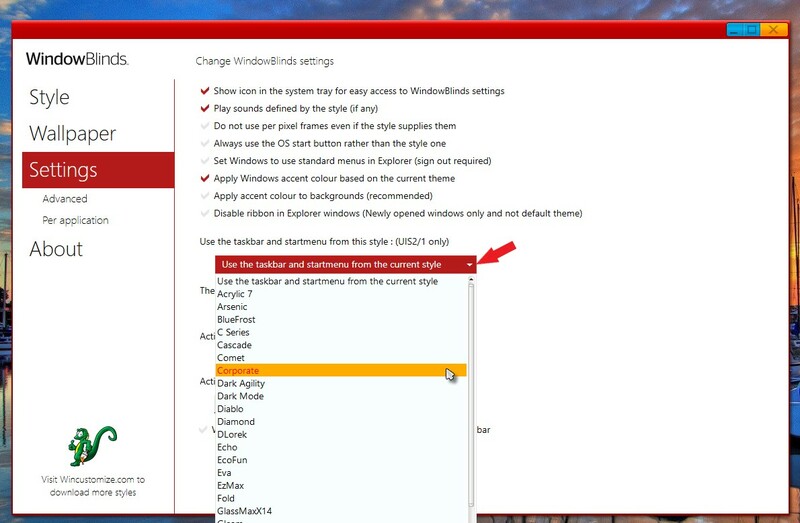 There is no option in WB, that I know of, to turn off taskbar skinning. What you can do is, to change that taskbar and Startmenu (if you have Start10) to use another style.